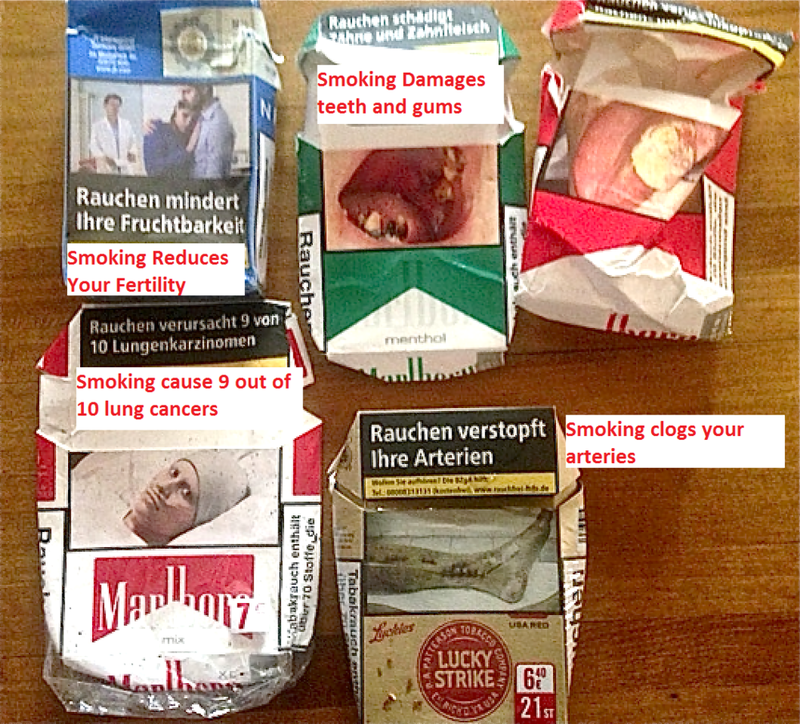 Picked up these used, empty cigarette boxes on the sidewalk while on vacation in Frankfurt, Germany. Wow, what a far cry from our ciggy boxes warnings in the US?...Europeans know how to show the real ugly and deadly side of smoking. FYI.